Blackpool's Midas Disco. 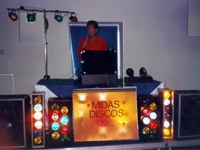 Quality professional mobile disco or karaoke/disco for all types of functions. Music from oldies to the present day. Over twenty years' experience. 100% reliability record. Competitive rates. Required by many venues, Blackpools Midas Disco has a current PLI policy with AMP DJ in the amount of £10 million. Also required by many venues, Blackpools Midas Disco has supplied satisfactory evidence of holding current PAT inspections of their equipment dated within the last 12 months. A Method Statement, outlining Blackpools Midas Disco&apos;s Health & Safety procedure for setting up disco equipment has not been supplied. Why do people choose to book Blackpools Midas Disco? He is familiar with the venue and the information he sent ands the reviews were fine. Good price and has previously been to the venue. They were familiar with the place and where it was,as its a suprise party I didn;t need a phone call to say they couldn;t find it. "John was Punctual, played a wide variety of music and would recommend Cheers john"
"Thank you for your positive feedback hope to see you again at your next Disco.John. Midas"
"Everyone enjoyed the music played which was mainly from the era I had asked for and requests from my guests for songs were played when asked for. I had said to John that we probably just wanted background music so there were few announcements and chat other than song and/or artist information, but that was fine and worked well for the evening. All in all the disco helped the evening go well." "Thank you pleased you enjoyed my disco.John"
"we were a cycling club presentation evening, with more over 70 than under 40. Our DJ was excellent. He arrived on time, set up without fuss, and his choice of music fitted exactly. he was loud when we needed loud, and quiet when we needed quiet. Would not hesitate to book John again for a similar event. " "Thank you for your positive feedback hope to see you again sometime." "A brilliant night. I provided John with some suggested songs before, but played requests on the night. Did all that was asked of him and was. very adaptable. Would book again and recommend "
"Thank you for your positive feedback I enjoyed matching songs to fancy dress outfits." "John was the ideal DJ for our Rotary Club Xmas Party. The ages of the audience was "mature" and his balance of music was excellent." "Thank you for your positive feedback hope to see you again next year." 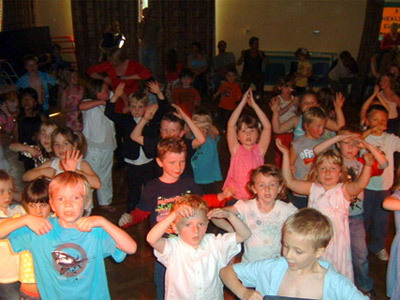 "John the DJ was great, Perfect music and finished excellent. Well recommended "
"Thank you for your positive feedback hope to see you again." 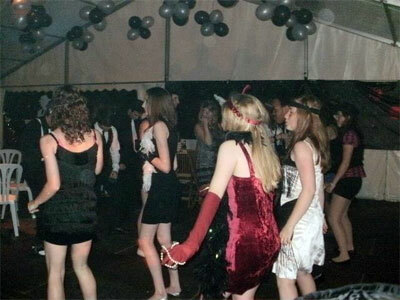 "Fab night thankyou, played all the songs we requested." "Thank you for your positive feedback." 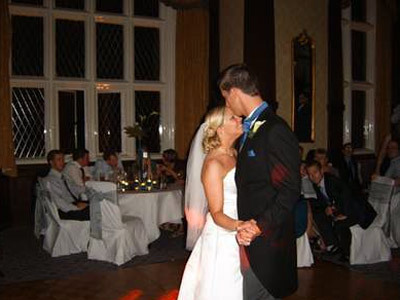 "John did a great job at our wedding reception. Once everybody had finished eating, he played exactly the genre of music that we wanted and we and our guests had a great night dancing to all our favourite rock tracks. John was professional and friendly and did a great job for us. Excellent value for money and would definitely recommend him." "Thank you for your nice feedback pleased you enjoyed my Disco.John." "Was very pleased with the service we received from John, would definitely book him again." "Thank you for you positive feedback hope to see you next year for the christening." "It gave a nice bit of add atmosphere to the occasion." "Thank you for your for your positive feedback." "My dad wanted a set list of songs that he had organised and John was very willing to give up that part of his job so my dad could have the songs he wanted in the order he wanted. Very much appreciated." "Thank you for your positive feed back pleased your dad enjoyed the night." 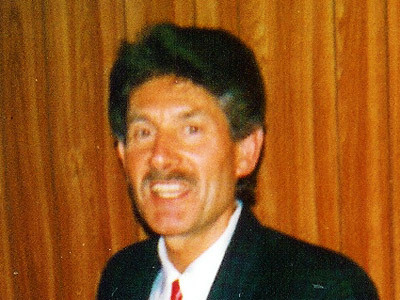 "Prior to the event I discussed my requirements with John and on the night he followed my requests to the letter which was important to me. On the night everything went to plan and we had a brilliant evening! John joined in with the theme, which was the 60s, and as a result a great time was had by all - thank you, John." "Thank you for your positive feedback it is much appreciated I am very pleased you enjoyed the your evening I hope to see you again John"
"John hadn\'t quite set up when my guests began to arrive but once he was up and running he was great. I'd requested 80's music only and supplied a magnitude of requests which he duly played no problem. There was an impromptu request for a 90's hit which John played without any fuss. Excellent value for money for a no frills, no DJ chat disco, just what we wanted.... 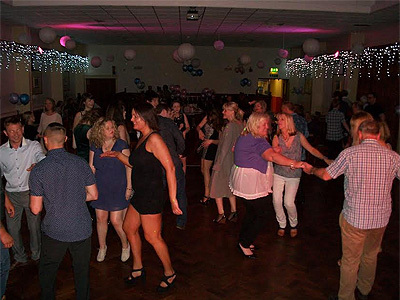 Thanks John"
"Thank you for your positive feedback it is much appreciated I am very pleased you enjoyed the disco.John"
"John carried out exactly what was asked of him. I sent him a playlist in which he obtained and played all the requested songs. He allowed enough time to set up his equipment and played "Congratulations" as my mum entered her surprise 70th party. He played all the songs at the appropriate time. He managed the time of presentation and speech very well and was overall very professional." "Thank you for your positive feedback (also the tip) it is much appreciated I am very pleased everyone enjoyed the evening hope to see you again sometime.John"
"it was an older couple that arrived not what we were expecting, (certainly not dressed up for the occasion) but were polite and friendly, we said our son wanted rock music and mix but only played a couple of rock songs. one of the songs played had very bad language in and it took time to stop it being played. also they had an issue with the equipment part way through but managed to rectify it although several times the tunes did not run on smoothly there was a gap from one to another. Whilst the lights were good it was only one style of light projected all night. 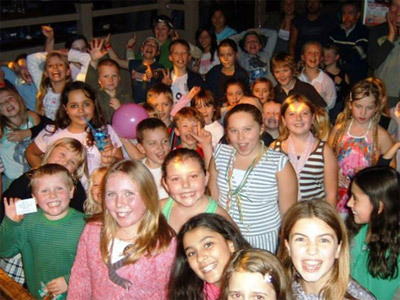 it was a small gathering for our sons birthday so it did the job but to be honest think other customers would be disappointed if they had this dj for a bigger attended event." "Thank you for your positive feedback sorry I could not do it myself too short notice. If you had let me know about the rock music we could have prepaired some tracks. (please note it was a budget priced disco) John. Midas"
"John arrived on time and was very professional throughout, every request we made was catered to unless the song was not available." "Thank you for your positive feedback it is much appreciated I am very pleased you enjoyed the evening.John"
"Played everything we asked for... mainly 70s and 80s disco... great value for money.. thanks John"
"Thank you for the positive feedback hope to see you again some time.John." "He arrived promptly and had prepared our playlist. Didn;t interact much with the guests, pretty reserved, but I prefer that to a dj who talks and interrupts too much." "Thank you for the feedback hope to see you again sometime." "Overall very good Dj and would use again." "Thank you for the feedback hope to see you again." "Our DJ was fantastic and he made the party. Lots of people have commented on how good he was since the party. He did kids games, karaoke as well as singing himself. Brilliant. Cannot recommend him enough! Thank you"
"Thank you for the positive feeback keep rocking." "Brilliant DJ - lots of choice of music." "Thank you for your feedback hope to see you at the wedding disco." "Had a very good night. Music was perfect. Danced all night. Thank you." 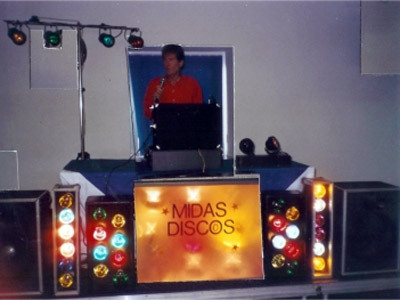 Blackpools Midas Disco also offers a range of additional party services not directly linked to musical entertainment. If you are contacting Blackpools Midas Disco about an event, it's always a good idea to include the DATE, LOCATION, EVENT TYPE, AGE GROUP and TIMINGS to speed things up!